You’ve all read my thoughts on the basic principles of training. I believe in them strongly. I am a person who believes that following principles will bring about more success than some pat formula. So what about people who claim to have a program that defies principles? I was reading through a fitness program recently and the author proudly proclaimed that his methods defied all fitness principles. My first thought: this is not such a bad thing as long as the author is introducing new principles himself. Was this the case? No! The author was making the point that he does not believe in the progressive overload principle. As I read his description of what he believed it dawned on me that he was pushing progressive overload disguised as something else. Is this a bad thing? I believe that people need to avoid confusion. Taking the time to learn principles and apply them is going to lead to success. When “respected” fitness “experts” say they don’t believe in a certain principle, but then teach that exact principle with a different packaging, it is a bad thing because it causes confusion. Is it our job to confuse or to teach? I would suggest that we should never publish something that is going to confuse people, especially when you are charging $60 for that information. When you read something that is clearly misleading, take advantage of that refund policy immediately. Don’t let the “expert” get away with their tactics. It is wrong at one level and deceptive at another. The only response to deception is to express your dissatisfaction. That’s why the guarantee is there. It is a guarantee that you will be satisfied with the product. When you are not satisfied you must execute on the refund agreement. It benefits you and many others like you because the more of us who return these programs the louder the message will be. You’ve taken the time to learn the principles, so apply them. Don’t let some new system change what you know works. There’s nothing wrong with trying things a different way, just don’t let yourself be swayed into thinking that the principles don’t apply any longer. The basics will always be the basics. While there have been scientific advancements in the understanding of training principles, it is mostly in the area of understanding why those principles work. 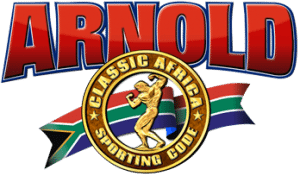 The basics that worked for Arnold years ago will work for you today. Always remember that. A major part of avoiding fitness information overload is learning who to listen to and who not to listen to. This is accomplished in numerous ways. One way is to carefully review the qualifications of anyone you plan to listen to. Remember, if someone is going to advise you on how to get into shape, they should have accomplishments in that area themselves. Take a look at the following “expert” resume and get some thoughts going on what you think. My name is Donald Expert. I’m not a gambling man, but I’d we willing to bet that you’re not satisfied with the rate of progress you are making with your diet or fitness programs. In fact, if you’re like most people, you’re probably frustrated, discouraged and angry because you are working out, dieting, or both and making no progress at all. I understand, because most of my personal training clients were in the same boat when they first came to me. In desperation, many of them said they'd tried everything and I was their “last hope”. Others had never worked out a day in their lives and had absolutely no idea how or where to begin. What an incredible, amazing and pleasant surprise it was when they began to see the fat melt away and the muscle start popping out in places they never even knew they had muscles before! Who knew, after all the wasted time and frustration, that you could achieve amazing results so quickly and consistently with the proper training techniques and the motivation and accountability that you get from an expert personal trainer? What do you notice right away? Does Mr. Expert give you any real information about his methods? Does he tell you anything about how he is going to fix your problem? How about those bodybuilding titles? Do you see any national championships on the list? You have to use a critical eye when viewing these things. A long list of titles means nothing if you won Mr. Joe Neighborhood 2009. Why aren’t there national titles on the list? In addition, any trainer should be able to tell you exactly what you will do with them. They should be telling you what techniques they prefer. I personally would not workout with anyone who didn’t believe in High Intensity Training, but how would I know from this resume whether or not to work with Mr. Expert? Take your time and study the credentials of everyone you plan to follow. Make sure they are the real deal. Are they in it to help other people or are they just about the money? That’s going to be your call to make and it is an important distinction to see. I recently wrote an article called Check Their Credentials in which I discussed the importance of checking out the credentials of those you follow in the fitness industry. So how do you determine who to follow? One of your first steps should be to conduct a Google search on the person and/or their program. Find out if there are any complaints from other people. Review any articles you can get your hands on that the person has written. Compare what they say in those articles with what their sales page infers is their philosophy. You will find out alot of invaluable information from a Google search. Is the person a title holder in bodybuilding? If so, what titles have they won? Are the titles simply local competitions or do they come from national competitions? The person with national titles is going to be somebody who has done the hard work they are about to ask you to do. That’s a very important issue. Why would you want to follow the advice of a person who has never done it? 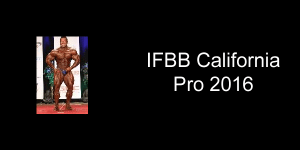 If bodybuilding is your goal, follow someone with bodybuilding titles. If you want to know about the right exercises to use for this or that body part, follow someone who has been lifting for a long time. Each person is going to have an area that they specialize in. It is your job to decide if they qualify according to your goals. If you have looked through your Google search and found no problems and then you’ve determined that the person has the knowledge to help you meet your goals, your next step is to buy the material they are offering. 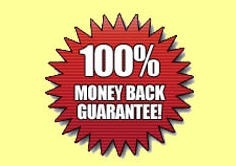 Remember, you are not at risk because you are only going to buy from someone who has a money back guarantee. Never buy if there is no money back guarantee! After you buy the material immediately sit down and read through the entire program. You are trying to understand everything that is being taught. Evaluate the program to see how it will address your needs. If you decide that the material meets your need, keep it. Decide where it is going to fit into your plans and then execute on that plan. However, if you decide that the material is not what it claimed to be or if you decide it isn’t for you, you have more work to do. If you have determined (for any reason) that the product isn’t for you, take advantage of the money back guarantee. Get a refund and fast! Do not be shy about this. The author has offered a money back guarantee so they should not be upset at you for taking advantage of it. Remember, you only access the money back guarantee if the product legitimately does not meet your needs. Don’t use it as a way to get products for free. At this point you may just have a great program in your hands. You’ve taken the time to get to know the “expert” and their program. Now it is time to fit the program into your plan. Figure out where it will go and when you will start it. Now execute! Do what it takes to complete the plan with intensity and consistency. You will reap the rewards later. Add 23 lbs. of muscle in only 11 weeks! At this point you should be asking yourself “Do I need all of this?” You should also be checking out the claims they are making on their site. I just Googled “high intensity training” and came up with 4,480,000 hits. You will note that I have circled some incredible free resources on High Intensity Training that came up at the top of the search results. With this information available to you for free, do you really think you will need to spend $70 on the latest program that teaches you about High Intensity Training? How is reading this latest eBook going to help you any more than reading one of these free web resources? If you click on the very first link in the search results window on Google (after searching “high intensity training”) you find that this system of training was popularized in the 1970’s by Arthur Jones. 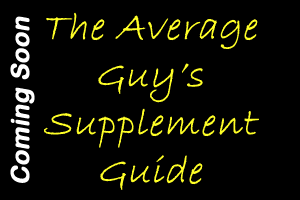 The article goes on to discuss some great bodybuilders who have used this training system. At the end of the article it lists several more references for High Intensity Training including a forum dedicated to the topic. All of these resources are free. Remember, the point here is that the program you may have received is all about rehashing information freely available to you on the internet. If this eBook advertisement simply stated that it was an attempt to organize existing information into a format that would be useful to the reader that is one thing, but it is making claims that it has some secret information that will only be available to you if you buy the eBook. It is at this point that your critical thinking skills need to kick in. Who needs to pay $70 for something that is available on the internet for free? Remember, rehashed information is information overload. You don’t need it and you certainly won’t want to pay your hard earned money for it. Use the techniques you will learn from Fitness Exposé to avoid spending money you don’t need to spend. Read through our articles and consult with our experts. 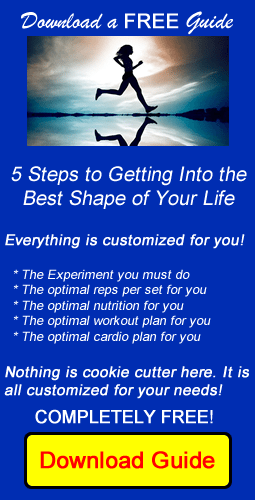 By doing so you eliminate any need to spend so much money on a fitness product that is available elsewhere for free. New Workout or Old Idea? As a way of helping you help yourself, I will be running a series about identifying who might be worth paying attention to and who to run from when looking into fitness programs. As with everything else presented on Fitness Exposé, I will present you with some principles and then you can use those principles to guide you in your endeavors. I get asked this question alot. Why is it important to check out the people you are getting training information from? The internet is an awesome place and is loaded with information, but that’s exactly the problem. It is altogether too easy to publish anything you want on the internet and then establish yourself as an “expert”. As the consumer, it is up to you to check things out, even the information provided on this site. I am a Christian, so I believe in what the Bible has to say on these issues and it is very clear. The idea here is simple and one that cannot be easily denied. Those who check things out for themselves are at an advantage over those who do not. It is difficult to be duped if you spend just a little time doing research before making a decision on what to do. Sales pages on the internet are called “squeeze pages” for a reason—they want to squeeze your money out of you before you have a chance to change your mind. Don’t fall prey to that mentality. Stop and think before you make a purchase. The next article in this series will discuss the technique that I use for avoiding being squeezed by the “squeeze pages” that exist on the internet. Most of the marketers on the internet utilize Clickbank to sell their products because it is easy. 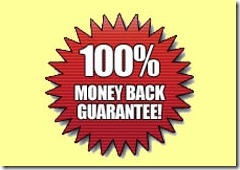 At the same time, they also utilize the money back guarantee concept as well. So if it is guaranteed, why do so few people take advantage of the guarantee? The next article in this series will discuss why it is important to hold these guys to their word. You won’t want to miss the information that is presented in that article as it will change your risk factor on this issue forever. The word credentials is closely related to the word credibility. You need to check the credentials of the person offering you the information. Why should you be listening to the advice they have? What makes them an “expert” on the topic at hand? At Fitness Exposé we are qualified to speak on this topic because we’ve been burned by these so-called fitness experts several times. We have developed a method for stopping this from happening and that’s why this website exists in the first place. The final article in the series will examine a method for checking the credentials of your “expert” so that you can make an informed decision about the information they are trying to sell you. If you aren’t part of the solution you are part of the problem. You will learn that you have the power to change things if you just respond in a consistent manner. If you aren’t sure how to be part of the solution, this site is just what the doctor ordered. With my panel of experts, I will give you the information you need to be part of the solution. Remember, we are here to help you help yourself.